Yes, they're lumpy, bumpy and misshapen. But dang! These things are good. As scones go, they're very tender and flaky - not dry at all. The tangerine glaze highlights the bright citrus zest along with the wonderful dried cranberries tucked throughout these bad boys. When I first pulled these scones out of the oven, my heart sank just a little. I thought to myself, these things are way too ugly to blog. Then I tasted one and decided they are way, way too delicious not to share. Yes, they’re lumpy, bumpy and misshapen. But dang! These things are good. As scones go, they’re very tender and flaky – not dry at all. The tangerine glaze highlights the bright citrus zest along with the wonderful dried cranberries tucked throughout. They always say you can’t judge a book by its cover. And how. Cut the butter into small pieces and add, along with the shortening, to the flour mixture. Using two butter knives, a pastry blender or (my favorite) your hands, work the butter and shortening into the flour mixture until the mixture resemble coarse crumbs. In a small bowl, beat the egg and then mix in the heavy cream and tangerine zest. Create a well in the dry mixture, then pour the cream mixture in. Mix just until the dough starts to stick together. I try to work it as little as possible after this point. 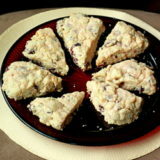 Turn the scone dough out onto a floured board, and gently knead it together enough to form one cohesive chunk of dough. Work the dough into a round disc shape about 3/4 inch thick. Place the wedges on an ungreased cookie sheet. 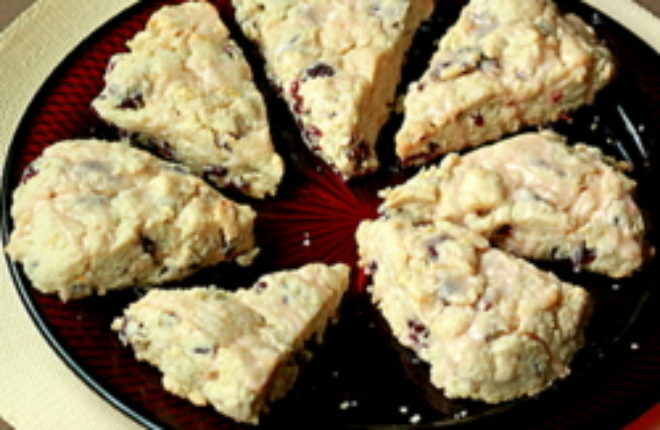 Bake for 15 - 17 minutes or until the scones just begin to brown. Pull from the oven and let rest on the cookie sheet for about 5 minutes, then carefully transfer to a wire rack. Allow to cool about 10 minutes. Make the glaze! In a small bowl, whisk together the powdered sugar and tangerine juice. 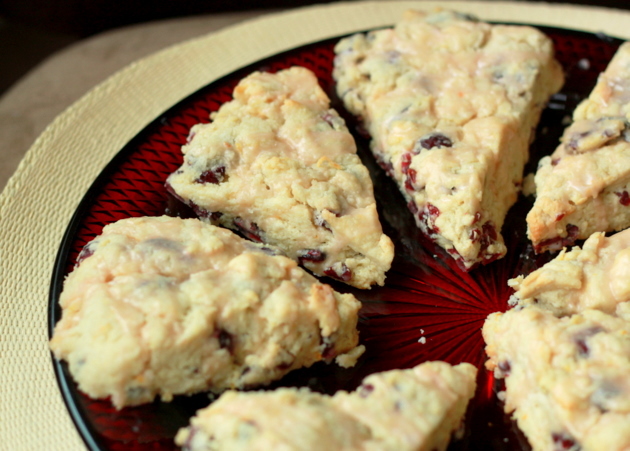 Using a spoon, drizzle the glaze over the scones. Let cool and serve. Who cares what they look like? These sound amazing. 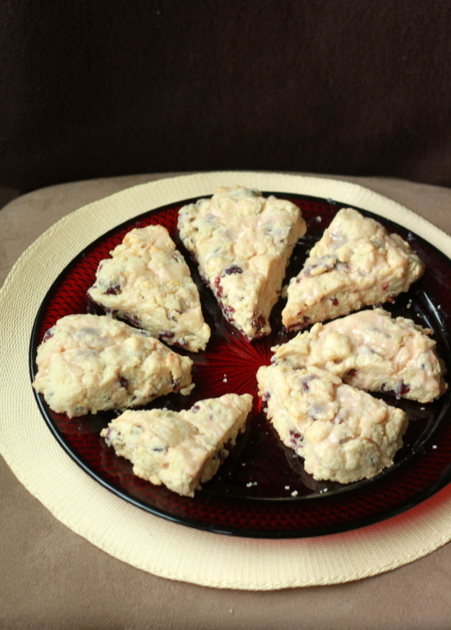 I love scones and will eat them even if misshapen. So have to try these! Once you chew them up, it doesn’t matter WHAT they look like, right? I think your scones look good. I’ll eat your scones. Bumpy or not, I love the cranberry-tangerine combo! !